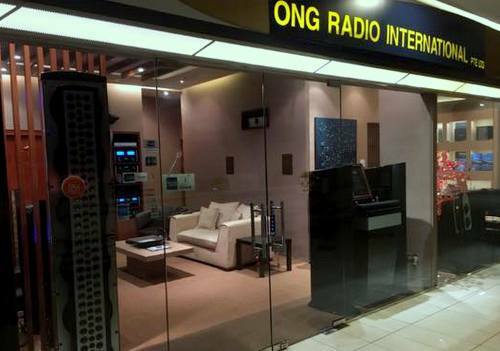 Ong Radio has a total of two showrooms in Singapore, one at The Centrepoint shopping mall (176 Orchard Road) and another within The Adelphi (1 Coleman Street). Established in 1937, Ong Radio is known for being synonymous with the rare craft of engineering state-of-the-art dream homes. Using Ong Radio’s expertise and their professionally certified system designers, dream homes come alive with some of the world’s most prestigious AV brands that are custom-engineered into solutions for the ultimate home entertainment and lifestyle experience. The service range includes high end audio systems, elite private theaters, multi-zone music & movie systems, high definition media library systems, lifestyle AV systems, fully integrated smart home systems, luxury turn-key custom installations, as well as room acoustics management. Within these areas, Ong Radio has product expertise especially with audio and home theater systems, projection systems and 3D TV, cables and accessories, plus smart home systems. The official Ong Radio Facebook page is located at www.facebook.com/ongradio. Following the Facebook page, you’ll receive updates about the cutting-edge AV solutions available through the company, promotional offers, events, and much more.